Very versatile - I used this as a head support on the baby bouncer from 0-3 months. I love this head support. I think it is designed for use in a car seat, however I used from birth in the baby bouncer as it didn't recline. It was invaluable to us as it gave us some hands free time whilst keeping our baby safe and happy. This product is great for keeping baby's head from wobbling too much in the car seat. Very comfortable and easy to use. I recommend it. My baby loved it and easily slept well. I found no problems with it whatsoever. I think it's great value for money and a great design. It could easily be used in most car seats and strollers. 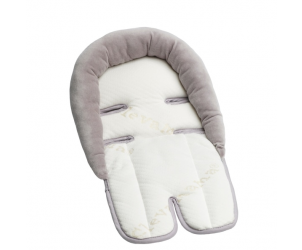 The Clevamama ClevaHead Head and Neck Support provides excellent support for baby's developing neck muscles during the early months, ideal in the car seat, stroller or bouncer. Manufactured using ClevaFoam which has been scientifically proven to prevent Flat Head Syndrome. 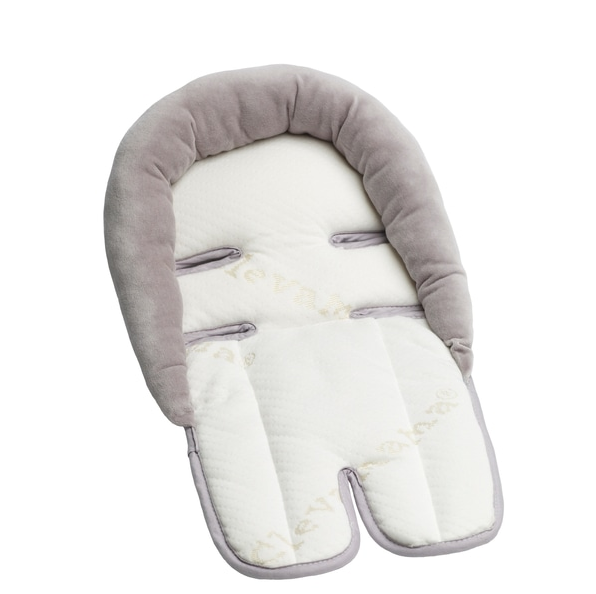 Support your baby's head and neck in ultimate comfort. Made using scientifically proven Clevafoam to prevent flat head syndrome. Perfect for use in car seats, strollers, bouncer seats and infant swings. Can be used in car seat stage 1 and 2, pram, bouncer. Airflow fabric draws away moisture and increases airflow.